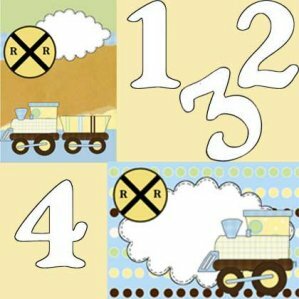 These two quilted train patterns are perfect to create an endearing wall hanging or baby quilt for your favorite little future engineer! Use them just as shown or combine your favorite elements to design your own custom applique quilt. We've also included numerals from 0 to 9, so you can add numbers to these or any other quilt. 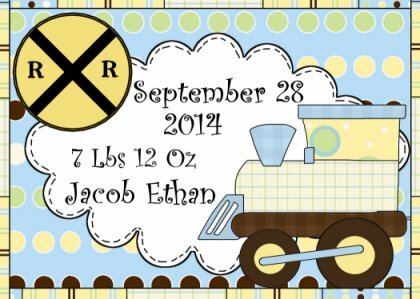 Coordinate your creation to match the colors of the baby's room or make it an explosion of colors and make a dent in your scrap stash. Use these appliques as a large overall design or create individual blocks with an element in each square to make a simple quilt or coverlet. Whatever you choose, your favorite little guy will enjoy your gift for years to come.